"Audrey is not just an ordinary Café & Restaurant but a venue that offer an extraordinary lifestyle" was what Janista Lewchalermvongse (Bam), the founder of Audrey Café & Restaurant chain set her goal towards. 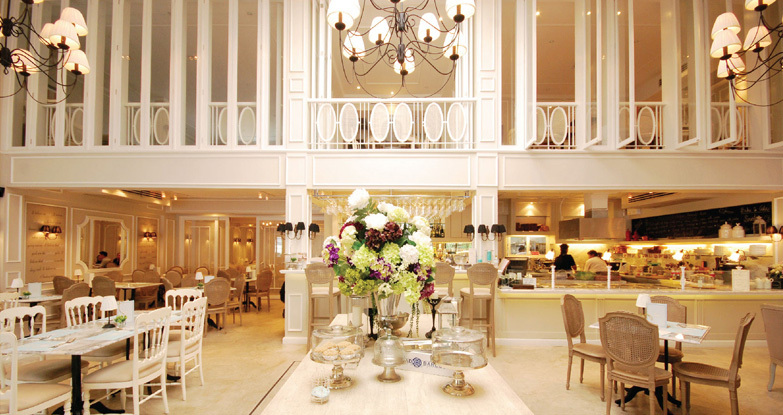 She coined the term "One Audrey One Personality", which reflects the unique ambiance and special menus provided specifically in each branches she created.Audrey Café, the venue that provided an absolute memorable and cozy ambiance inspired by French vintage décor as well as the excitement of tastes. The taste of every dishes variety ranging from her childhood comfort foods to a twisted Thai & European fusion dishes. a publicly recognized lady. A Former famous host of long listed of famous lifestyle & variety shows in Thai natinal television, she won two consecutive natinal election as Member of Parliament(MP) of Thailand and a professional Real Estate developer of a leisure residential project in beach town, Hua Hin, Thailand. She was nominated and awarded by numbers of both local & international organiztion. Janista is known among her friends and Family to be a passionate cook and decorator. From her passion in traveling to dining and interior design, her experiences were reflected in every occasional party at her house. The dining at home, to her was simply an experimental gronud in developing new dishes & décor style that always turned out to be unique and charming. After her marriage and became a mother of two lovely daughter and son, she discovered herself the desire to pursue her business opportunity exploiting from her very own passions and step into another work paradigm as a "Restaurateur".